Skype is a very reliable software, but we recommend to try it out first with a friend. 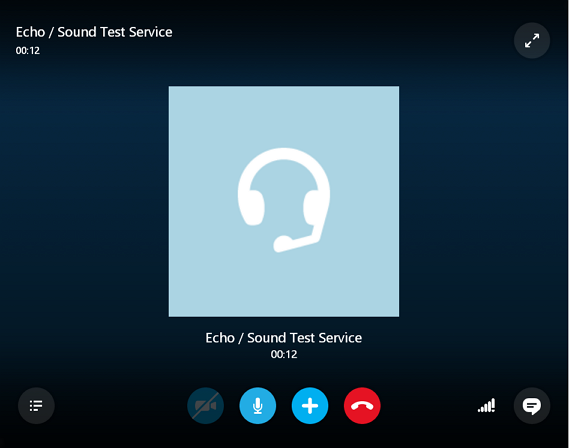 If you do not have any friends who use Skype, feel free to use Skype telephone test service below. Please, click the button, boot Skype and then connect to the telephone test service. Skype Telephone Test is on the Contacts tab, so please click it. There is an automatic explanation, so you can easily try it. Please follow instructions, “This is Skype Telephone Test service. Please talk for ten seconds after the tone…” If your talking is replayed, you can use Skype without problems. If you cannot hear your voice, please check your audio settings. If you still have problems, please check Skype Support.